One of the linchpins of the British rock & roll revival of the 1970s and '80s, Shakin' Stevens ranks among the most persistent performers ever to emerge, ultimately, as a superstar. Stevens has no less than 30 U.K. Top 40 hits to his name, almost all of them racked up during a five-year span of chart invincibility. Yet his recording career pre-dated his first hit by over a decade, struggling through a period that might have forced any less committed artist to simply abandon all hope. "Shaky" was born Michael Barratt on March 4, 1948 in Ely, Wales. The youngest of 11 children and a keen amateur singer, he was already married and working as a milkman when he formed Shakin' Stevens & the Sunsets, his first professional band, in 1968. The bandmembers themselves had been playing together in one form or another since the late '50s (when they formed as the Backbeats), and knew Stevens as one of their most devoted fans; he would often join them on-stage to perform a guest vocal or two. With a ferocious live following around South Wales, the band signed to Parlophone in 1970 and recorded its debut album, the optimistically titled A Legend, with producer Dave Edmunds. Reports that they also opened for the Rolling Stones in December 1969 appear to be exaggerated, but the band gigged regularly around Germany and Holland, and scored several European hit singles. Still, they seemed doomed to haunt the rock & roll revival circuit, all the more so after Stevens was cast in impresario Jack Good's musical Elvis in 1977 (he appeared as the Army-era King), and the band was forced into hiatus for the duration of the play's six-month run. Worse was to come (for the group), however, as Elvis went on to become one of the year's biggest musicals. Stevens' run was extended to two years, and exploding media attention made it clear that Shaky would not be returning to South Wales anytime soon. Stevens quit the Sunsets in late 1979 and, as a solo performer, was signed briefly to Track Records. However, three singles and the Play Loud LP were lost when the label went bankrupt and, while Stevens quickly bounced back, signing to CBS in 1980. His first attempt at recording an album for the label ended with rejection. A role in Jack Good's reborn Oh Boy TV series kept Stevens at the forefront, however, and the CBS subsidiary Epic picked him up. Three singles flopped, but in February 1980 Stevens finally scored his first U.K. hit when a version of Buck Owens' "Hot Dog" reached number 24. "Marie Marie," a Top 20 hit, arrived that summer, and the following February, Stevens enjoyed his first U.K. chart-topper, "This Ole House." The follow-up, "You Drive Me Crazy," reached number two, before "Green Door" returned him to the top. Thereafter, the hits flew thick and fast; further chart-toppers "Oh Julie" (1982) and "Merry Christmas Everyone" (1985) sandwiched such smashes as "Shirley," "Give Me Your Heart Tonight," "I'll Be Satisfied," "Blue Christmas," "Cry Just a Little Bit," and many more. 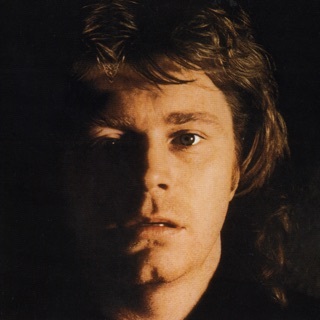 A 1985 reunion with the Sunsets' first producer, Dave Edmunds, resulted in the Lipstick Powder & Paint LP (Edmunds also handled the Christmas number one), while Stevens' other albums included the Top Three successes This Ole House and Shaky (both 1981) and Give Me Your Heart Tonight (1982). There was even chart action for his early-'70s work with the Sunsets, gathered up on the 1981 compilation Shakin' Stevens. Litigation relating to this material would pursue Stevens through the remainder of the 80s and into the '90s, as his former bandmates battled over unpaid royalties. 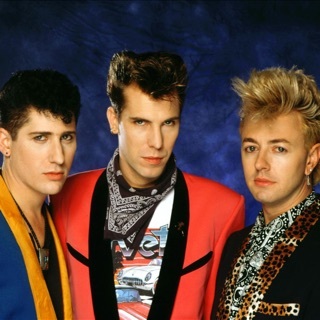 The hits grew smaller as the '80s progressed; his final U.K. Top Five entry was a revival of "What Do You Want to Make Those Eyes at Me For" in 1987; other singles struggled to even approach the peaks Shaky had once dominated, and in 1993, Stevens retired from recording and performing. His final hit, the previous year's "Radio," was recorded with Queen's Roger Taylor and reached number 37.